Amritsari Chole, a famous Punjabi dish.It taste great with Naan and Bhatura. Pressure cook soaked chick peas with all the ingredients mentioned under 'for cooking chick peas'. Cook upto 3 whistles or till the chickpeas are completely cooked. Strain the chickpeas and reserve the stock along with the whole spices. Discard the tea bags. In a large kadai, heat oil. Add chopped onions, fry till golden brown. Add slit green chillies and fry for a minute, add chopped tomatoes and chopped ginger and saute until tomatoes become soft and mushy. Add the cooked chickpeas and saute for 5-6 minutes. Add all the spice powders, stir and saute for a minute. Now add the strained stock, keep simmer till the curry thickens. Add some julienned ginger and stir. Serve Amritsari Chole hot garnished with coriander leaves along with Naan. Sieve the flours, baking powder, baking soda and salt. Mix milk and yogurt and stir in sugar. Add water enough to knead. 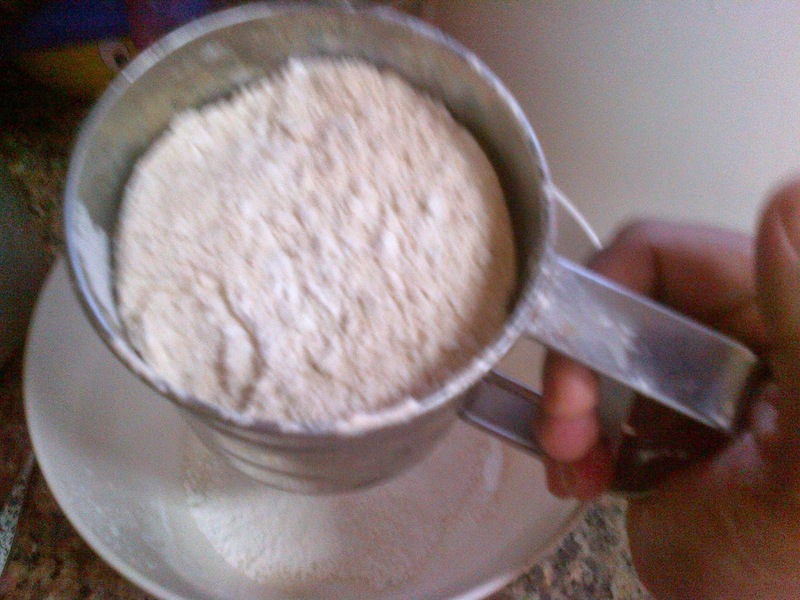 Mix the flour with the milk and yogurt mixture. Knead to make a smooth dough. If the dough looks dry then add some water and knead again. The dough should be smooth and soft. Cover with a wet cloth and keep aside for 10 minutes. After 10 minutes, add oil and knead the dough again. Cover with the wet cloth and keep aside for 2 hours, till the dough leavens and rises. Make medium sized balls of the dough. Roll into a four or five inches round circle. 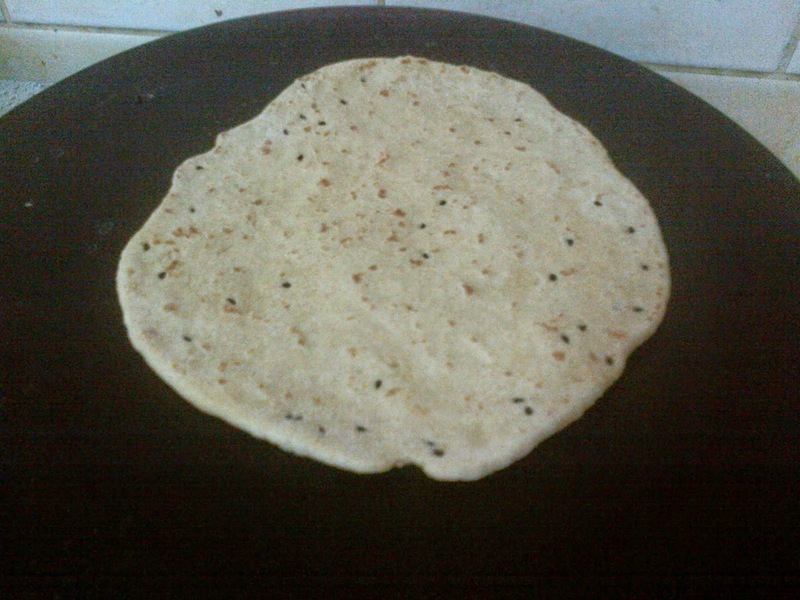 Sprinkle calonji while rolling. 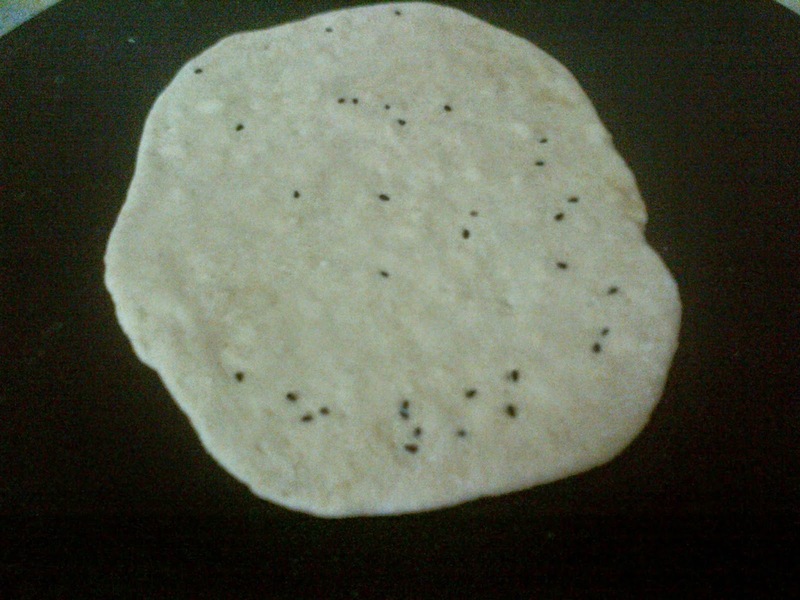 If you want you can stretch the dough to one side to give a tear shape to the naan. 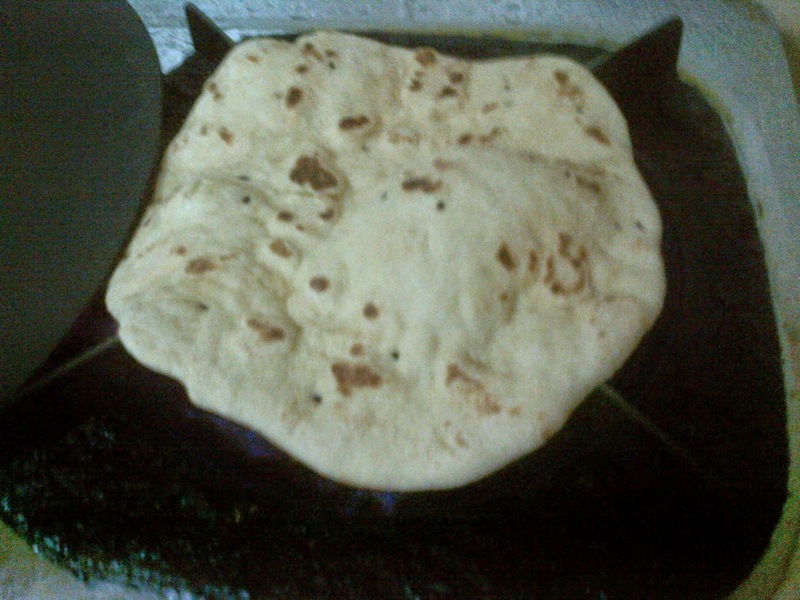 On a hot tava or griddle, place the naan and partly cook both sides. Then place the naan direct on fire with the help of a tong. Cook both sides till they puff. You can cook the naan in a tandoor or bake them. Place the naan on a greased hot tray and bake in a preheated oven at highest temperature. Looks so authentic and delicious! 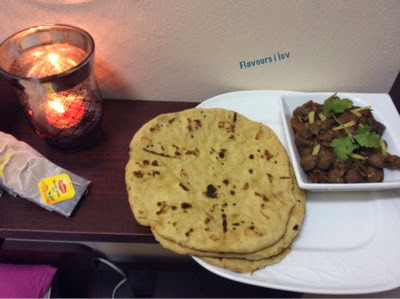 My mouth is watering here..the chole and naan look too yumm.. Your naan recipe sounds very easy.